We are Based in Queen square, in Liverpool, very close to Lime street station and the bus station is around the corner. We are an ideal place to meet and eat, before the theatre, a night out in the city centre, or before and after shopping. In addition to our indoor seating area we have a fabulous terrace where you can eat and drink and enjoy the sunshine, and feel like you have your little corner of Spain in the middle of Liverpool. The restaurant is a ideal place to celebrate with friends and family, and we provide a great fiesta menu that is ideal for all parties. So what are you waiting for? 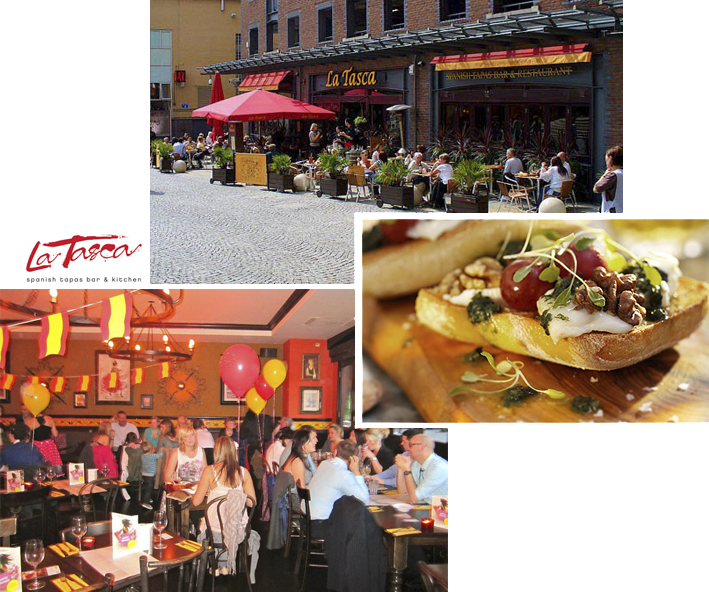 Come on down to La Tasca Liverpool!